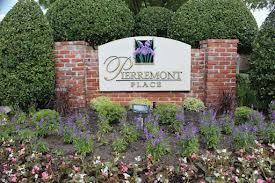 Pierremont Place is undoubtedly one of the best gated communities in Shreveport. Not only is it centrally located on Fern Ave. between Pierremont Rd. and 70th Street, it’s elegant garden homes are immaculately maintained and beautifully adorned. Anyone living in this neighborhood is living at the center of it all. Upon entering this charming community, you are greeted with beautiful trees and gardens, which then gives way to well designed streets and of course gorgeous homes. What truly sets Pierremont Place apart from Shreveport’s many other communities however, is its idyllic location. Fern Ave. parallels Youree Drive only a few blocks away to the east, and Line Ave. a few blocks to the west. Being that these are the two main streets of Shreveport, you have the best of it all right at your very own fingertips. Only minutes from the best fine dining in Shreveport, and the best shopping in northwest Louisiana is quite a perk, but that’s not all of it. Fern Ave. will also take you to one of Shreveport’s nicest hospitals, Willis Knighton Pierremont as well as many entertainment options such as Tinsletown Cinemark movie theaters. Heading a few minutes west on Pierremont Rd. will connect you with I-49 and then the rest of the city. Of course the area is home to some of the best public Schools in the city, not to mention the private ones. Pierremont Place is about having it all. Luxury garden homes, the safety and security of a gated community, and the conveniences of being centrally located make this neighborhood one of the most sought after in all of Shreveport.